Upon seeing this question, I took a look at the user tag, and it currently has 1366 unanswered questions, and 4326 total questions. Seeing as that's quite a lot, I thought I'd help with the burnination (am I correct in thinking the burnination is done by users?). However, I can't really tell when the burnination should start or when it's "approved"? I found this question, but there are no answers. 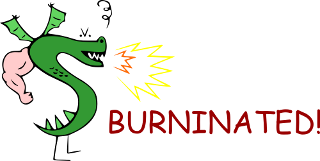 There are a lot of burninate-requests posted to various meta sites that are... To put it gently... A complete and utter waste of everyone's time. Some folks will seemingly post a request for any tag they come across that isn't interesting to them personally - and then try to justify it with some hand-waving about a lack of experts. If you think this is the case, then raise the matter for discussion on meta. Share your research, as outlined above, making your case for burnination. Use the tags discussion, burninate-request - and include the tag name in the title. DO NOT try for a two-fer - one tag per discussion. Bad tags are often harbingers of bad questions. So if you're about to remove a bad tag, start by removing the bad questions it collected: find closed questions and delete them, find downvoted questions and close them (if they warrant it), find poorly-written questions and re-write them (if they deserve it). You get the idea. When a tag is merely ambiguous, sometimes it makes more sense to just replace it with another tag, or one of a number of other tags. This can be a quick way of turning a bad tag into a good one, or at least accomplishing something other than raw destruction when removing it. This cleanup is easily the hardest, most time-consuming part of the process. Document your progress here on meta, so that others can see what you're up to and get involved - many hands make light work! And again, if you don't think it's worth doing then just drop it and move on to something else. Now you're ready to actually remove the tag wholesale from a whole bunch of questions. Caveat: don't bother with this unless you have full editing rights. Seriously - it's just a waste of everyone's time, because at this stage all that's left is mindless retagging - and for every question you mindlessly retag, at least two other people with full editing rights will have to approve your edit. So if you haven't yet gotten full editing rights, consider your job done - go answer some questions & come back when you can edit without approval. Not the answer you're looking for? Browse other questions tagged discussion tags tags-burnination . Are general tag discussion threads ever useful? Will a good [job-interview] where I pass all the [interview-questions] help my [career-development]?